Look your best in a tried-and-true oxford that performs. Proven in independent lab tests to resist soil and release stains, our SuperPro Oxford has a soft hand and a wrinkle-free finish to keep you looking neat and professional all day long. 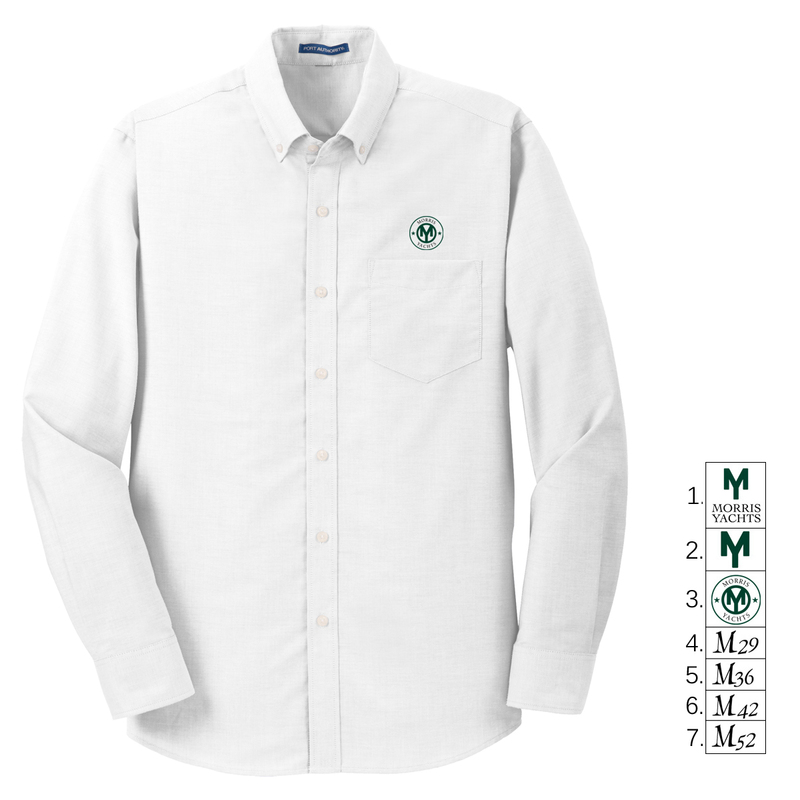 This shirt has the Morris Yachts logo of your choice embroidered over teh left chest pocket.